Ever heard of the handlebar mustache or the well-known spaghetti mustache? Well, this is a type of mustache that pays close resemblance to the handlebars of a bicycle. It has become a favorite for millions of men across the world. The iconic shape of this mustache has made its popularity grow in leaps and bounds. Despite having a common name, it comes in many different styles. 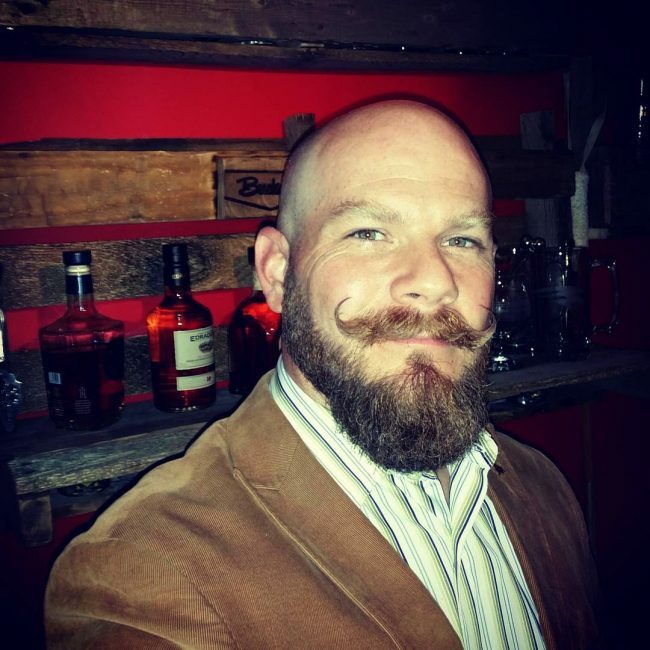 Below I’m going to outline the top 50 inspirational ideas for the handlebar type of mustache. This mustache portrays the gentleman in you. The mustache is less thick and comes in blonde. The ends are curved to form a “C” shape. It matches well with short trimmed beards around the chin. This is among the most famous mustaches. 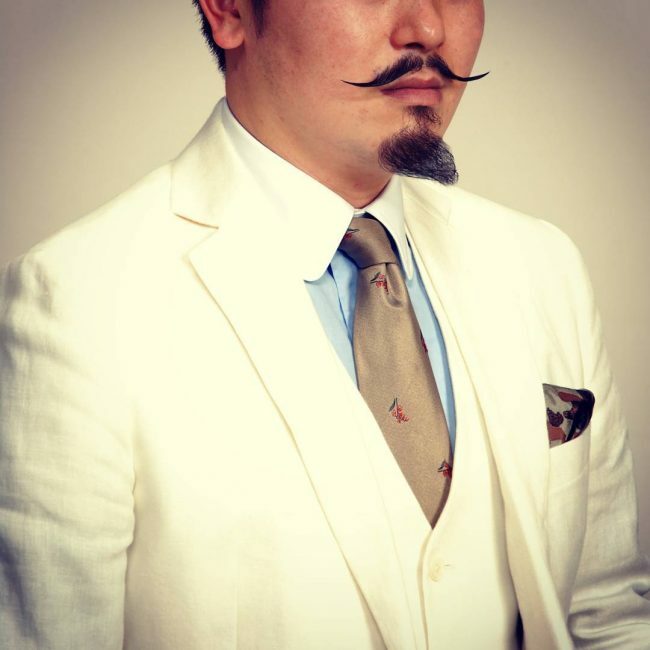 The mustache is of medium thickness and comes in dark color. It is waxed to make it more symmetrical and easy to pull out at the ends to resemble a straight bicycle handlebar. 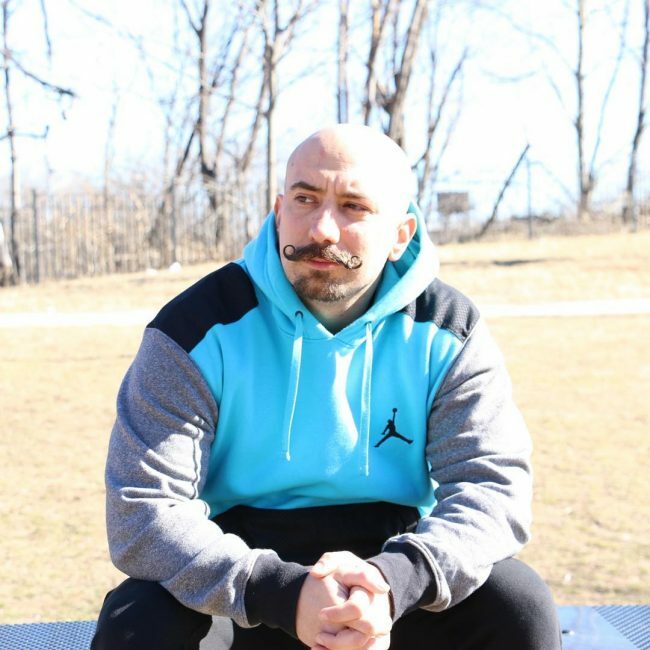 This mustache creates the illusion of two different faces in one. It is dyed black to create a huge distinction from the thick gray beards. 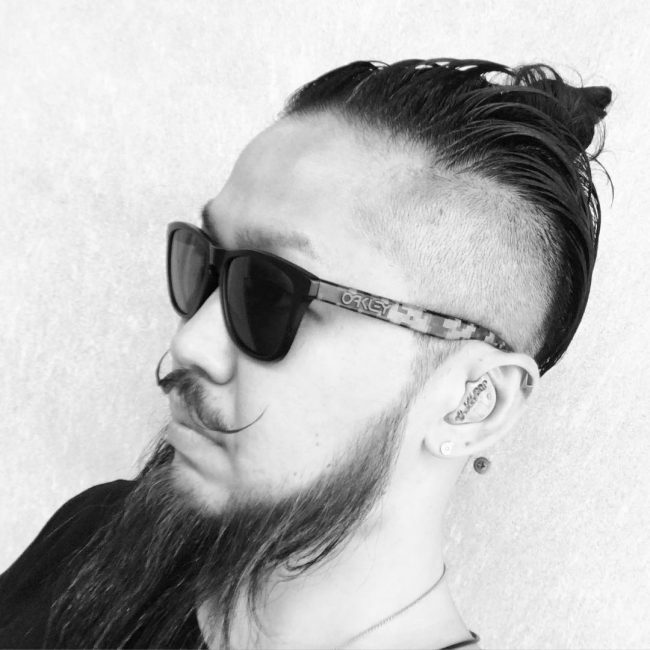 The ends of the mustache thin out to a single strand that curves to create that unique handlebar shape. If you desire a blend of two different colors, then this type of mustache will be a brilliant idea. The mustache has dark gray shades that are highlighted with light gray color. The beards and the hair alike come in the same color combination to create uniformity. This mustache is an ideal choice for those that love to go dark. It provides a black shade that blends in well with a light skin tone. Anyone wearing this mustache needs to have plenty of beard length at the chin. The beard projects horizontally from the chin. 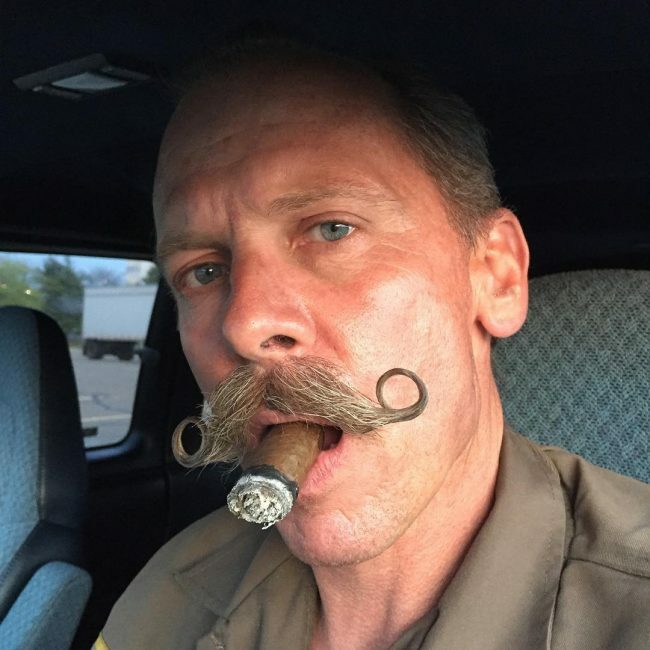 This mustache is quite unique in the way it curves at the ends to form that “O” shape. It is of medium thickness and blends well with thick beards. 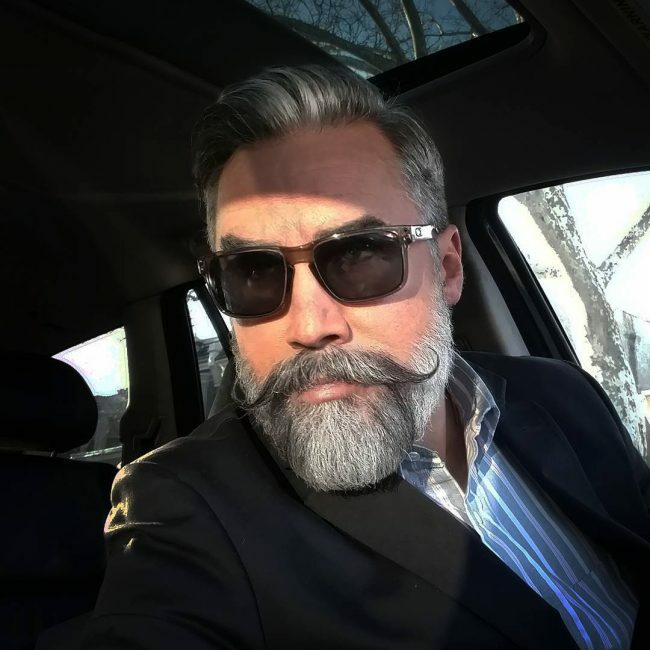 The beards and mustache feature dark shades that are given some life with gray highlights. Any Rastafarian will find this style quite breathtaking. The mustache is left to grow to medium thickness with the ends curving to a near “L” shape. The beards are trimmed to medium thickness with plenty of length around the chin. The whole look is sealed with dreadlocks on the head. This type of mustache looks quite isolated due to the absence of beards. 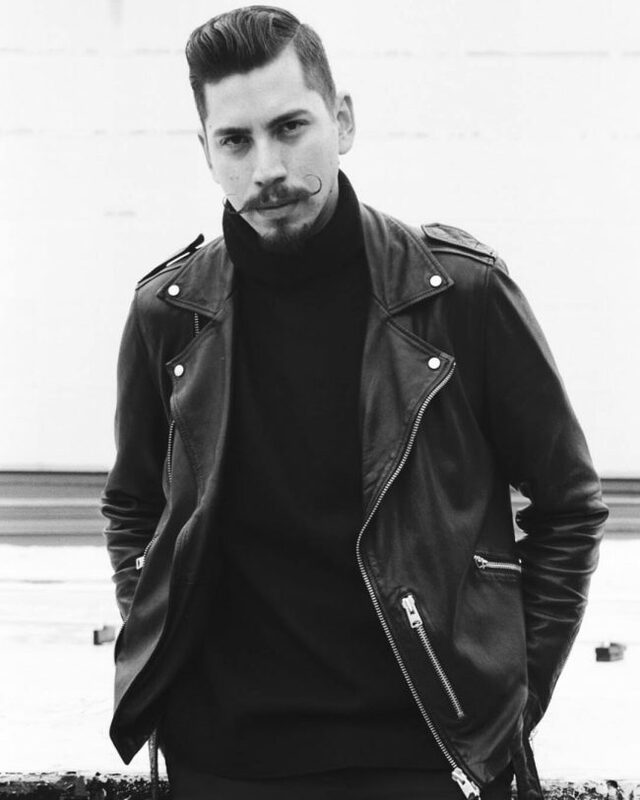 The mustache is thick and curves at the ends to a “C” shape. 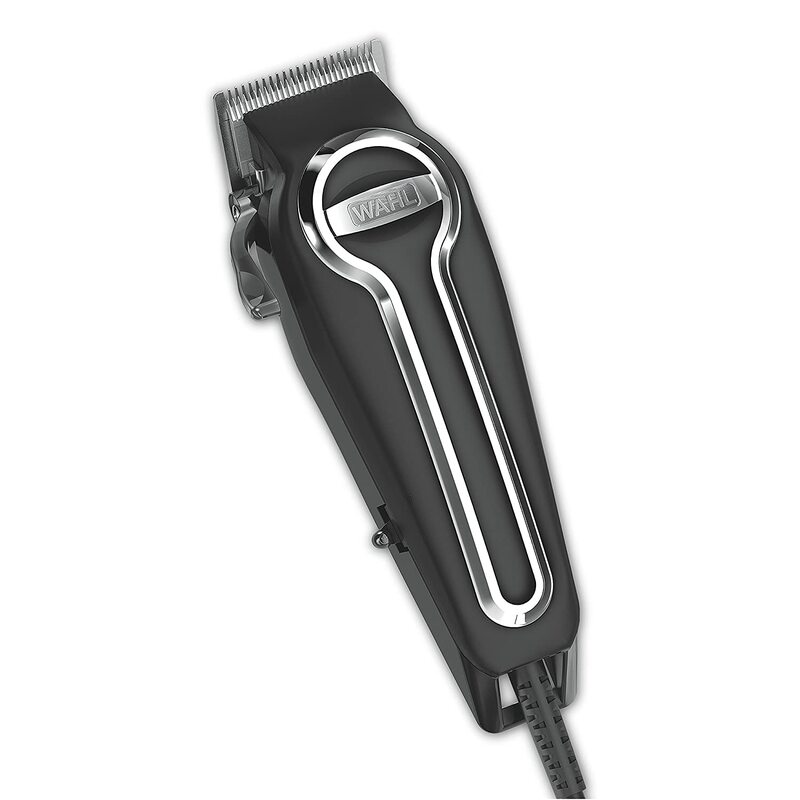 It is combined with a textured haircut that features undercut sides. The hair and the mustache are given the same color combination for the purpose of uniformity. This mustache is of medium thickness. The ends curve to an almost “O” shape. Beards are not left to chance as they are shaven clean. A pompadour haircut tops up the whole look. You can add a pair of sunglasses to make you look cool. Baldness doesn’t have to be an inconvenience when growing a mustache. 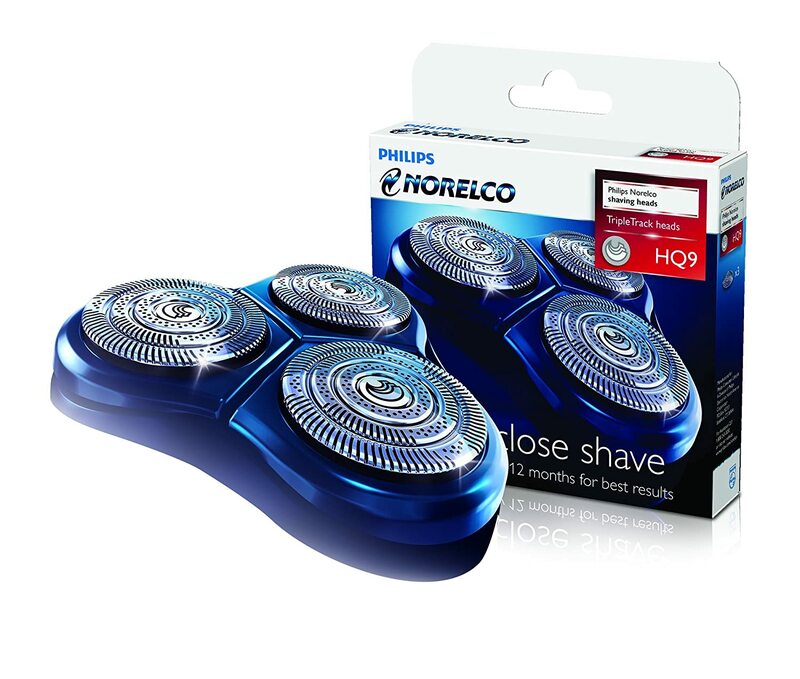 You can give you hair a razor shave and allow your mustache to grow thick. The beards are left thick with plenty of volume around the chin. Unlike most handlebar types of mustaches, this one doesn’t thin out at the ends. It maintains that bushy form that slightly curves at the ends. The thickness of this mustache totally conceals the lips. 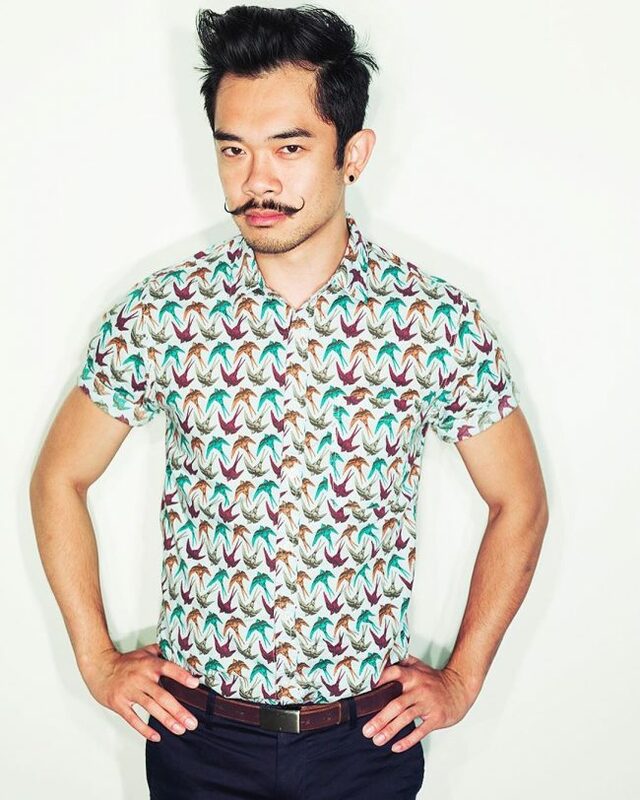 This mustache is a great inspirational idea for Asians. It is dark to create uniformity with the dark Asian hair. The mustache is grown thin and has a slight curve at the ends. The top hair is left long with undercut sides to match. Ever come across a cape buffalo or see it in pictures? Well, this type of mustache creates the illusion of a cape buffalo’s head. The mustache itself looks the exact replica of a buffalo’s curved horns. 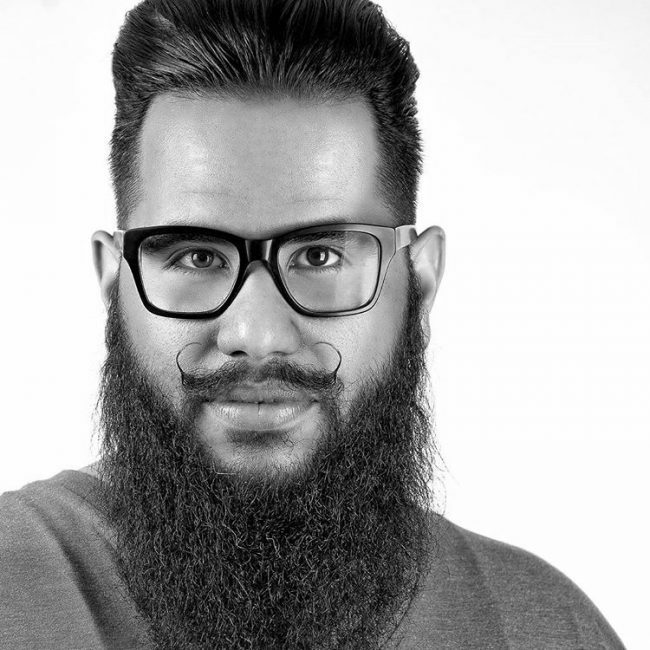 Some beards are left just below the lower lip and curved to a “V” shape to resemble the head. This is a bushy mustache that doesn’t curve towards the ends. It projects out horizontally. Medium trimmed beards are left to connect with the mustache. The top hair is left long and textured to give it a smooth and shiny look. The sides are undercut to connect to and match the length of the beards. This mustache is left to grow to the greater thickness. It curves out slightly to the ends. The beard is left to grow very bushy and thick with lots of volume around the chin. The mustache and the beards connect to perfectly enclose the lips. Any blonde can’t afford to take his eyes away from this iconic type of mustache. The hair and the mustache all come in that blonde look. 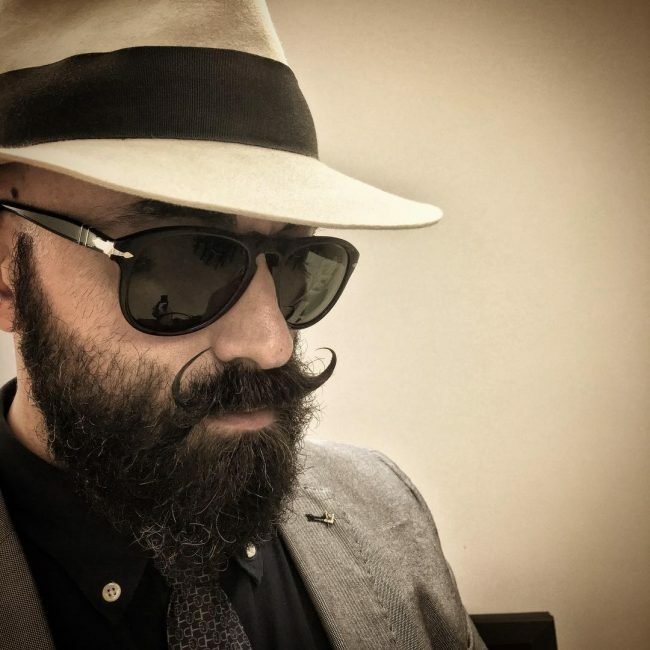 The mustache is of medium thickness and feature strands that connect together towards the ends to form one gigantic strand of hair. The huge strands curl to form an “O” shape. 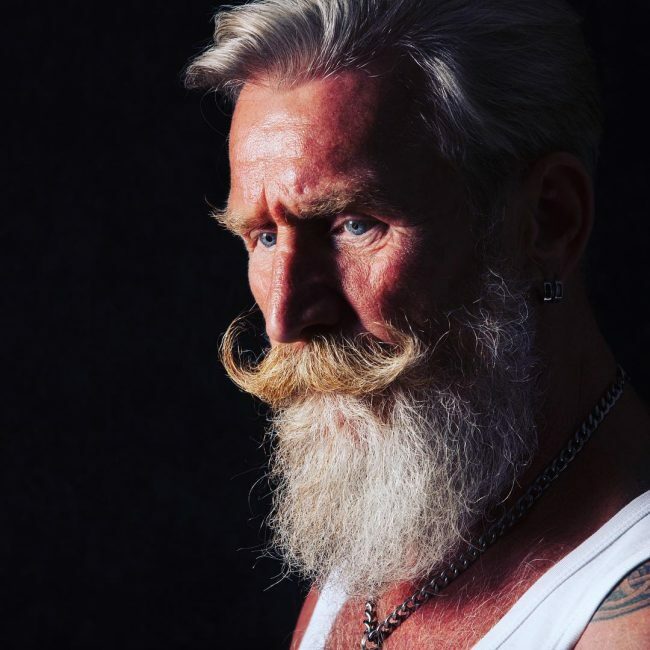 There is a visible distinction between the colors of the mustache and that of the hair and beards. The mustache is thick and has that blonde tone. It maintains its thickness towards the ends and curves to a “C” shape. It matches well with thick beards and long hair that have that gray tone. 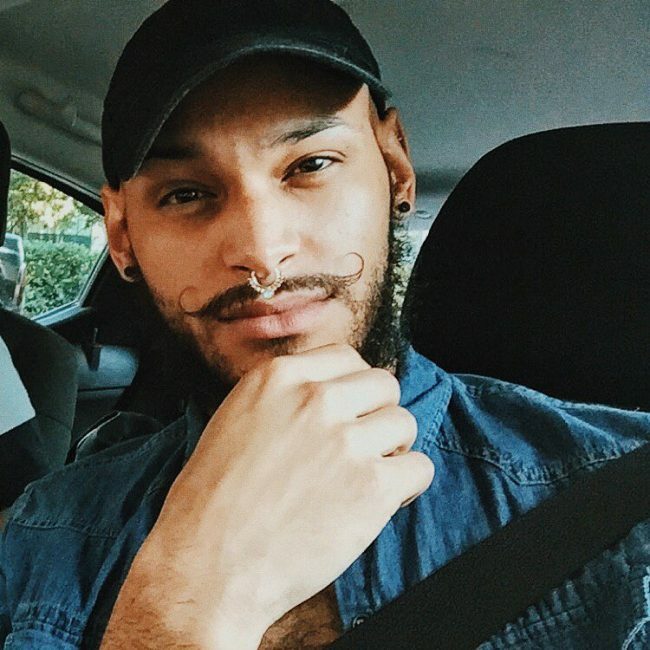 This mustache is of medium thickness and curls to an “O” shape at the ends. It is dark in color and has dark beards to match. The beards feature gray highlights at the chin to enliven the dark shade. This mustache has plenty of length at the curvature. It starts out in a medium-bushy form with strands starting to close together in a progressive manner to create one huge strand that curves towards the ends. The strands curve to form the crescent shape that has lots of vertical length to it. 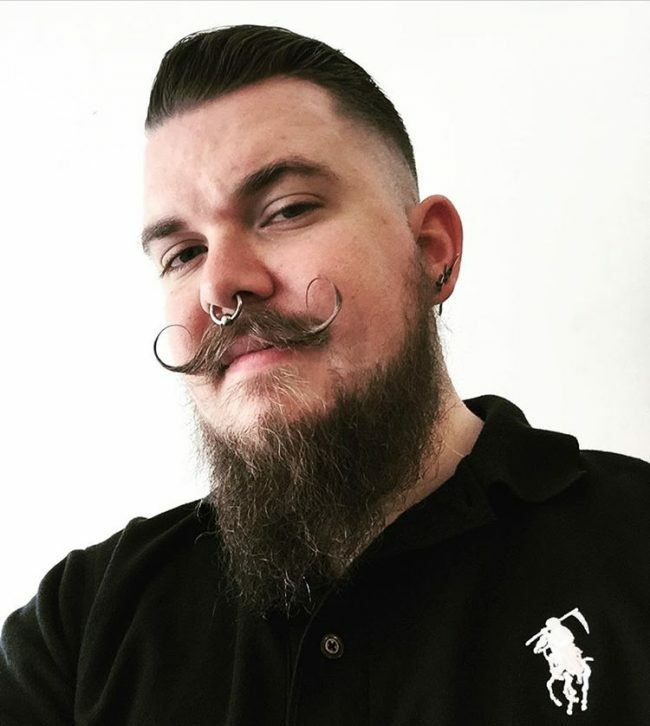 This mustache curls towards the ends. A slick back haircut that features a bald fade does well to match the mustache. The beard is bushy and has lots of length on the chin. The bald fade completely disconnects the beards from the hair. There is a huge distinction between the mustache and the beards. The mustache is thinned out to conform to the outline between the nose and the upper lip. It has that distinctive “C” curve at the ends. The beard is left thick and bushy for a contrasting look. The mustache and beards are textured to give them that soft feel. The mustache thins out towards the ends creating an “L” shape curve. The look is completed with a medium fade haircut that connects to the beard. This style gives you plenty of length in a mustache. The mustache thins out to a single thick strand on either side. The strands curve outwards and feature excessive vertical projection with the tips leveling the eyebrows. 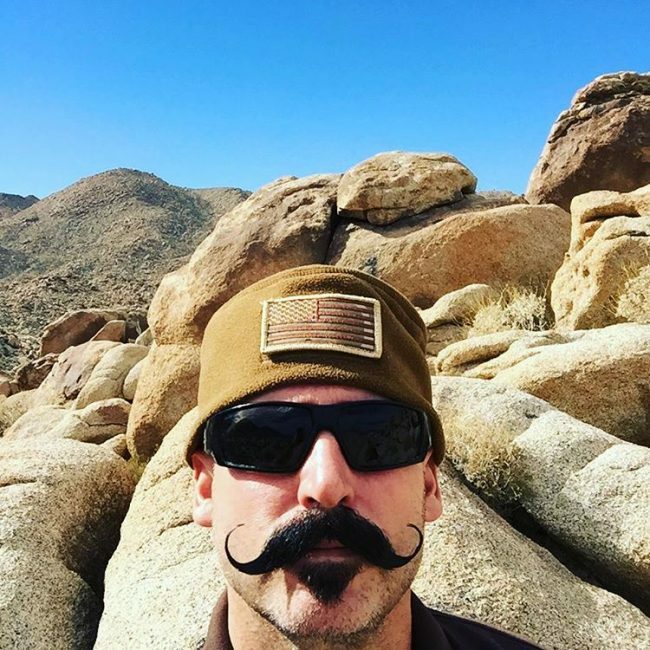 This is a thick mustache that is waxed to enable it to thin out to huge single strands that resemble curved horns. The beard is given the same length and thickness as the mustache. Together, they form a perfect enclosure around the lips. This is a non-waxed blonde mustache that curves towards the ends while maintaining the same thickness. The beards just below the lower lip are given a clean shave. The hair is given that dark shade and cut to medium height. The mustache is waxed and allowed to curl at the ends. 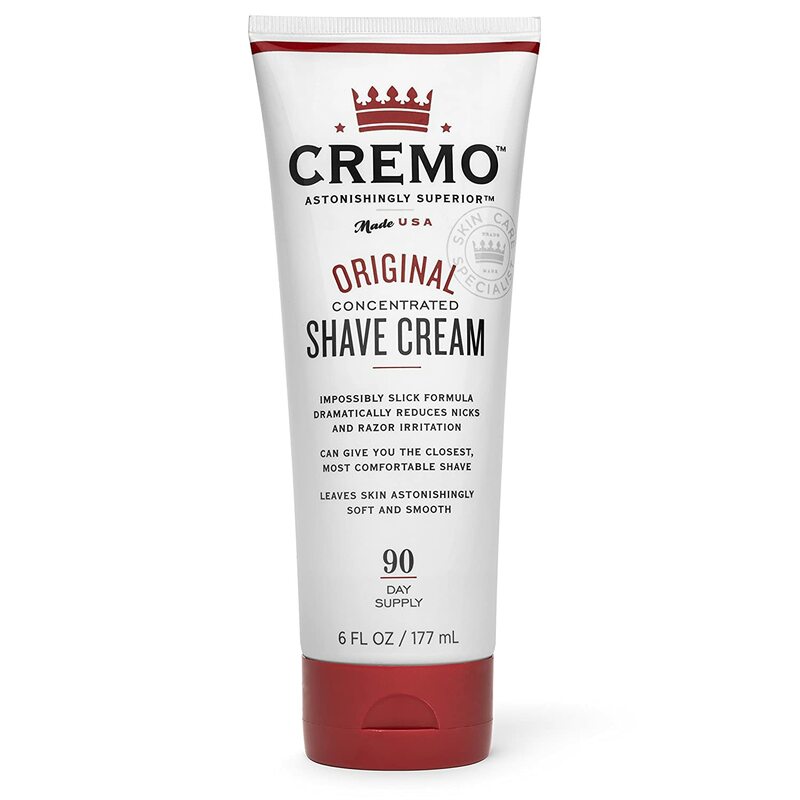 It is thick and connects with bushy beards. The hair is cut to medium height and allowed to connect with the long beards. This mustache goes well with the long goat-type beards. 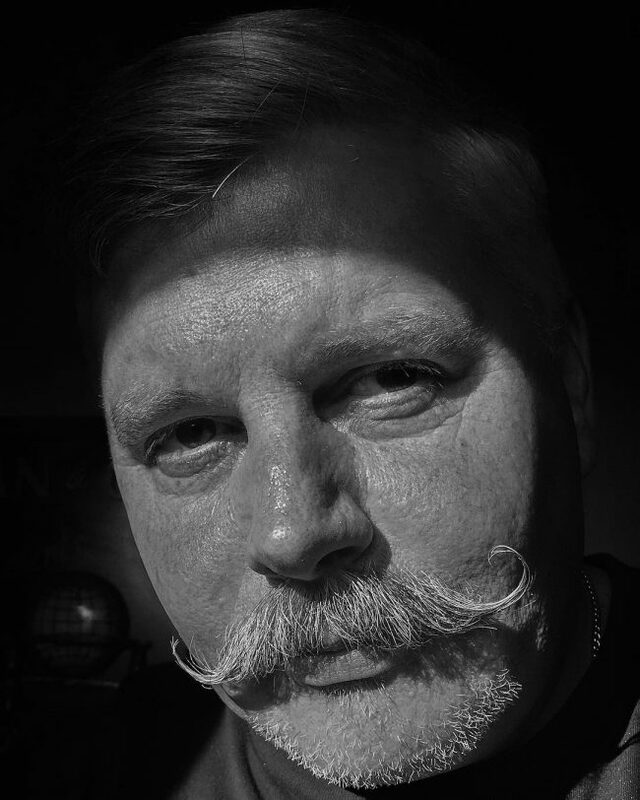 The mustache is waxed and curves at the ends to form an “arc” shape. The head is given a slick back haircut at the top with high fade sides that connect with the beards. The mustache has less thickness and length to it. It is waxed to form rather small curls due to the limited length. The hair is given a high fade pomp haircut. The beards are thinned out and connect with the hair. The mustache is given a dark gray hue and waxed to create a distinct curve at the ends. It connects to a thick gray beard. The hair has the same color with a pompadour to match. 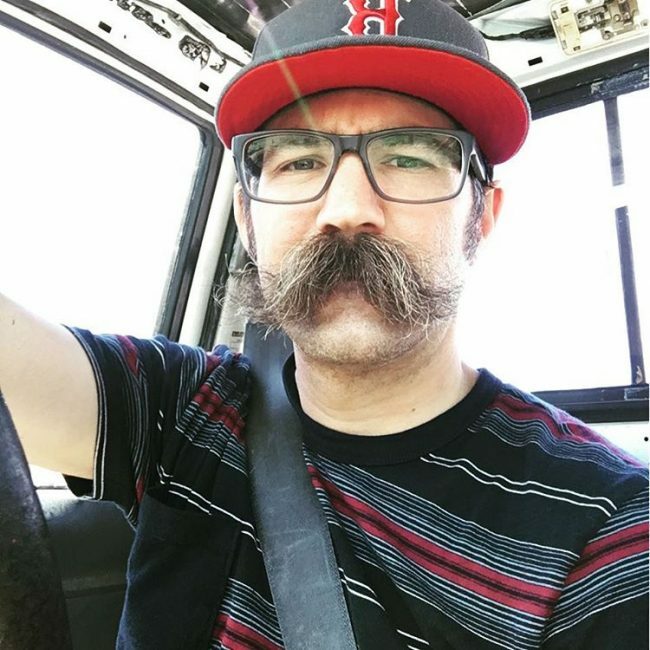 This is a non-waxed mustache that has some thickness to it. The beards below the lower lip and chin are given the same thickness as the mustache. 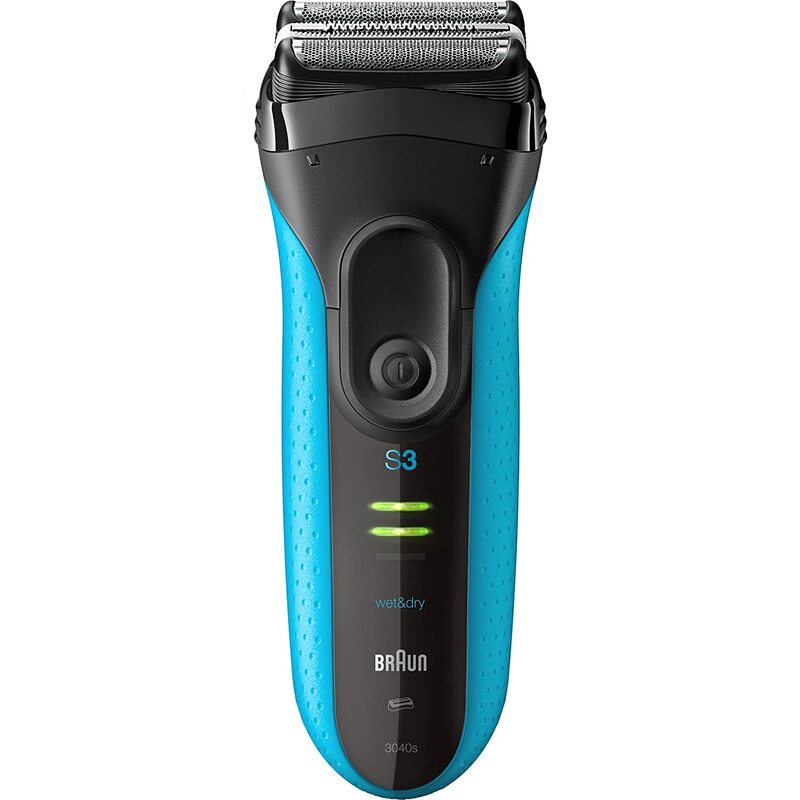 The bearded sides are shaved clean to disconnect them from the short haircut. The world of handlebar mustache has many different options to select from. The above ideas are a true testimony to that. From the descriptions given, you can make up your mind regarding the style that will work best for you. This is a type of mustache that will earn you compliments if done the proper way.